Construction is continuing at Farmingdale Station. The interior wood ceiling and lighting installation are complete. Formwork, sidewalk and placement of stamped concrete around the station building has been completed, as have roof repairs. 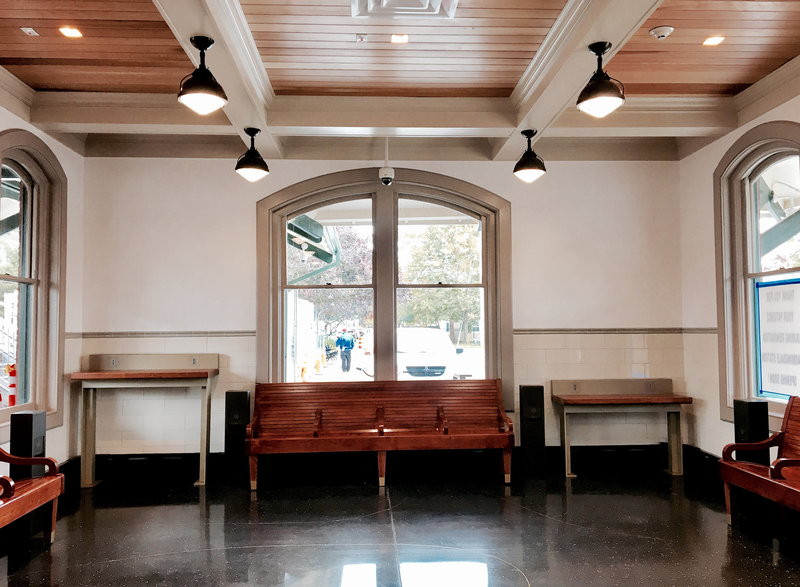 New concrete column bases have been placed, tile has been installed in the waiting room and bathroom – benches and USB charge ports have also been installed. 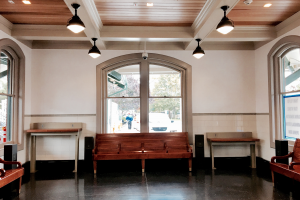 Exterior painting is nearly finished, as is the replacement of the station’s tower windows, and the station’s fire alarm system has been completed and tested.